Are you the proud mama of a little Ram, born between March 21st and April 19th? Read on to learn eight fun things about your naturally happy and eager child. Here's what you'll need to know about being this one's mama! Aries children like a lot of attention, and they are not very subtle with their demands that you give it to them, right now (they're quite impatient)! From wailing at the top of their lungs to banging on the table, Aries babies are noisy in their requests for your eyes and ears. An Aries child rarely has a hard time sharing toys or snacks. Expect that you might have to soothe her hurt feelings when she discovers that most other children lack this naturally-generous spirit. Older Aries children will give away their last dollar. Needless to say, finances are not their strong suit. Children born under the sign of the Ram are positive, cheerful, and eager to try everything. Your little one might be the first of his peers to crawl, walk, and talk; Aries like to take the lead. Ever likable and sociable, Aries children are natural leaders who love sports and competition. They're the first to try new things and love a challenge. But they're not a fan of authority, which causes them to get stubborn. 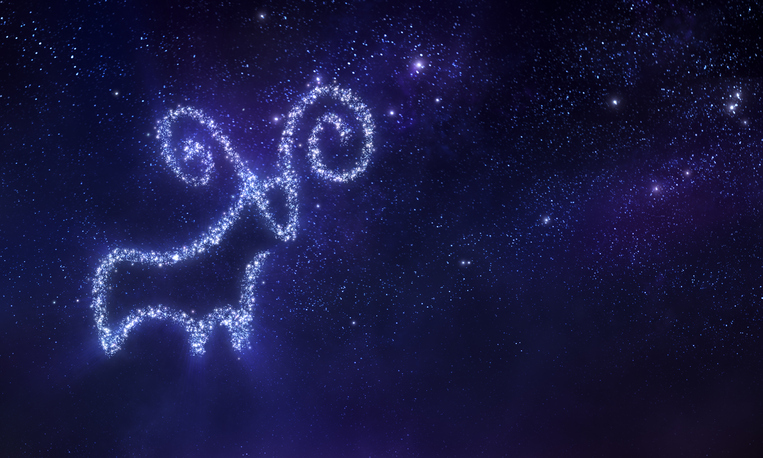 Instead of giving orders, offer a smile or praise when you ask your Aries to help out. Get Ready for Busy, Busy, Busy! Aries babies are nonstop. From birth, they're easily distracted by whatever's going on around them. They love interactive games like Pat-A-Cake and Row the Boat. As soon as they can, Aries babies are up, moving around, and into everything. Good baby proofing is a must! There's a quick-to-ignite temper inside these fire signs. Luckily, those bursts of anger just as quickly dissolve into happiness and joy. Aries babies and children tend to be very affectionate and give many hugs and kisses. Straightforward Aries might not seem very emotional, but on the inside they are quite vulnerable. You'll need to be there to support them when someone hurts their feelings. They want to be liked and need frequent validation that they are. Although he'll be quick to walk and talk, your Aries baby might be slower to potty train than you would expect. He could be so busy doing other things that stopping to use the toilet won't be a priority. Let him take the lead on training—that's the only way it will work. He'll do it when he's ready.